Mr. Maroof Afzal, is a Chairman of the Company nominated by Government of Pakistan on the Board of the Company. He is currently Federal Secretary, Ministry of Information Technology and Telecommunication, Government of Pakistan. Mr. Abdulrahim A. Al Nooryani is a Member on the Board of the Company since April, 2006 nominated by Etisalat International Pakistan ‘EIP’. Mr. Abdulrahim Al Nooryani is the Chairman of Etisalat International Pakistan LLC, which is a subsidiary of Emirates Telecommunication Company. He is also Chairman of the Board of Directors of Pak Telecom Mobile Ltd (Ufone). He is the longest serving member of the Boards of Directors of PTCL and Ufone. With expertise in Procurement, Contracts, Supply Chain Management and Administration, Mr. Al Nooryani was handpicked by Etisalat to renegotiate the PTCL transaction with the Government of Pakistan. He is widely accredited with putting together a deal that was seen as a win-win for both parties. Having joined Etisalat in 1979 as a graduate trainee, Mr. Al Nooryani quickly rose through the ranks to become the Chief Officer Procurement, Contracts and Administration to head a department of over 600 full time permanent staff. Simultaneously he held several directorships at Etisalat’s numerous subsidiaries at various points in his career. 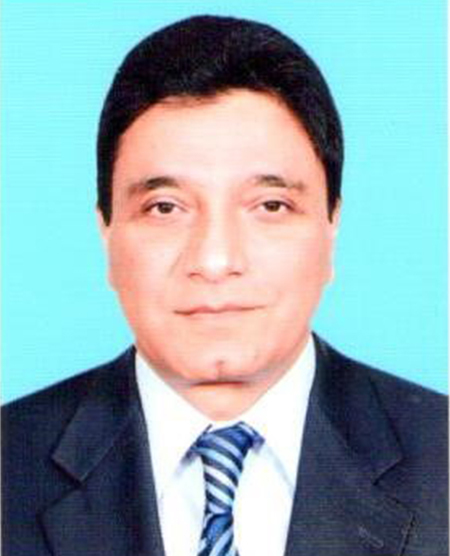 Mr. Arif Ahmed Khan is a Member on the Board of the Company nominated by Government of Pakistan. He is currently the Secretary, Finance, Ministry of Finance, Government of Pakistan. Mr. Khan is a civil servant with 35 years of experience in Public Administration. He has served the federal and provincial governments in various positions. Mr. Khan holds a Masters in Public Policy from Concordia University, Quebec. Before joining Finance Division, he served as Secretary Economic Affairs Division, Secretary Interior and Secretary, Climate Change. Mr. Khan has served as Additional Chief Secretary, Planning and Development Department, Government of Sindh. 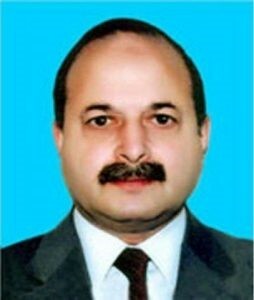 He was Secretary Finance for the Government of Sindh during 2012-13. Prior to that, he remained Home Secretary to the Government of Sindh for three and a half years. He also had the opportunity of serving as Consul General and Trade Commissioner of Pakistan in Montreal, Canada and as Programme Coordinator for International Trade Centre (ITC), Geneva. In between he was Director General for the Export Promotion Bureau (now Trade Development Authority of Pakistan) in 2004 – 2005. He represented the Government on the Board of Directors of the Sindh Bank Limited and the Sindh Engro Coal Mining Company Limited. In the initial years of his service he served as Deputy Commissioner in three districts of Sindh. Mr. Hatem Dowidar is a Member on the Board of the Company since April 05, 2016 nominated by EIP. He is currently serving as Chief Executive Officer, Etisalat International. Prior to joining Etisalat Group, Mr. Dowidar was the Group Chief of Staff for Vodafone Group based in London, reporting to Vodafone Group CEO. He brings over 24 years of experience in multinational companies, 18 years of these within the telecommunications industry. He initially joined Vodafone Egypt in its early start-up operation in 1999, served as Marketing Director (CMO) and later became the CEO of Vodafone Egypt from 2009 - 2014, where he managed to take the business to out-right leadership, and kept the business growing with benchmark profitability in a very challenging and competitive environments. Hatem has a long track record of achievements in the various leadership positions he held at Vodafone Group and its subsidiaries, including Group Core Services Director, CEO of Vodafone Malta, CEO of Partner Markets with partnerships covering over 45 markets and Regional Director Emerging Markets. He also has extensive Corporate Governance experience from his representation as Chairman and Board Member in several Corporate Boards within and outside the Telecommunications industry. Mr. Dowidar has started his career in AEG/Deutsche Aerospace (Daimler Benz Group) in Egypt before moving to Marketing in Procter & Gamble, where he held various managerial roles. He is 46 years old and holds a Bachelor Degree in Communications and Electronics Engineering from Cairo University and an MBA from the American University in Cairo. Mr. Serkan Okandan is a Member on the Board of the Company since September 7, 2012 nominated by EIP. He is serving as Group Chief Financial Officer at Emirates Telecommunications Corporation since January 01, 2012. Apart from the Group CFO position, he was the Deputy CEO of Mobily in the KSA from October 2014 till July 2015. Mr. Okandan had also served as Group Chief Financial Officer of Etisalat Misr and Turkcell Iletisim Hizmetleri AS from January 1, 2006 to December 31, 2011. Mr. Okandan joined Turkcell Iletisim Hizmetleri AS in 2000. He served as Finance Division Head at Turkcell Iletisim Hizmetleri AS and was responsible for Accounting and Reporting. Apart from the Group CFO position, he was the Acting CEO of Turkcell’s operations in Ukraine during 2010 and representing Turcell as a Board Member at its domestic and international operations. He began his career with PricewaterhouseCoopers and then worked successively for DHL Worldwide Express and Frito Lay prior to joining Turkcell. Mr. Okandan is a graduate of Faculty of Economics and Administrative Sciences at Bosphorus University in Istanbul, Turkey. Mr. Rizwan Malik, is a Member on the Board of the Company nominated by Government of Pakistan. He is an officer of the Pakistan Administrative Service and joined the Privatisation Division on September 28, 2018. He graduated from Government College, Lahore. Completed his Masters in Political Science in 1984. Gold Medalist from Punjab University and also recipient of Academic Roll of Honour from Government College, Lahore. He joined the Civil Service of Pakistan in November, 1986 and over the course of his career, has held various Secretariat, Field and Staff assignments. Before joining the Privatisation Division, he was serving as Special Secretary, Interior Division, Islamabad. He has had the opportunity to serve in three Provinces Sindh, Punjab & Balochistan and Federal Government in a career spanning around 32 years. Served as Assistant Commissioner/Sub Divisional Magistrate in various Sub Divisions of Karachi, Sindh, Additional Deputy Commissioner Narowal, Gujranwala & Rawalpindi Districts and Deputy Commissioner Narowal. Also served as Additional Secretary, Local Government, Additional Secretary, P&D, Punjab, Joint Registrar Cooperative, Punjab and Secretary, P&D, Government of Balochistan. During his tenure in Federal Government since 2009, he has held various important positions/assignments which include Joint Secretary, Planning & Development, Textile and Communication Divisions, Director General, Benazir Income Support Program (BISP), Director General Electronic Government, IT & Telecom Division, Joint Secretary, Establishment Division, Additional Secretary, Interior Division and Special Secretary, Interior Division. Mr. Malik attended various national and international training courses, seminars and workshops. Some of the important trainings/seminars include Executive Leadership Development Program, Harvard University, USA, International Training Course on Management Market Economy in a Globalizing World, Bangkok, Thailand, Training Workshop on Bridging the Gap between Qualitative and Quantitative Approach, University of Reading, UK, Seminar on 5th Seoul Initiative Leadership Program on Green Growth City Development for Green Growth, Seminar on Public Policy for Developing Countries, Beijing China, Seminar on Finance, Administration & Economic Development, Nanchang, China, Advance Management Course at NIPA Karachi and National Management Course at National Management College, Lahore. Mr. Khalifa Al Shamsi is a Member on the Board of the Company since April 05, 2016 nominated by EIP. He is currently serving as Chief Corporate Governance Officer, Etisalat Group. Mr. Khalifa Al Shamsi has been appointed as Chief Corporate Governance officer in April 2016. Previously he was the Chief Digital services officer since 2012. Prior to this, he was Senior Vice President of Technology and Network Strategy for Etisalat Group, specialising in Etisalat Group's Digital Services Strategy with a special focus on telecom, media and ICT. Mr. Al Shamsi's remit includes leading Etisalat Group focus on various industry verticals such as Machine-to-Machine (M2M), cloud services, commerce, digital advertisement, advanced communciations, digital entertainment, and video services, and aims to boost the Etisalat position in the digital eco-system and driving innovation and advanced services to Etisalat customers across all areas of operation. With over 20 years of experience in the telecom and ICT industry, previously Khalifa has successfully led the design, development and deployment of many important projects and a wide range of products and services. Specifically, Khalifa was behind the success story of Etisalat UAE where he was responsible for the deployment of mobile services, fiber-based broadband and advanced data services for Smart Phones. He has been with Etisalat since 1993 and was head of marketing in the UAE overlooking marketing, sales and customer care functions before moving to his new Group position in February 2011. Khalifa is also a Member of the Board of Directors at Etisalat Afghanistan and E-vision - the UAE-based TV, content and multimedia company. He graduated from the University of Kentucky, USA in 1993 with a Bachelor Degree in Electrical Engineering. Mr. Mudassar Hussain is a Member on the Board of the Company nominated by Government of Pakistan. He is currently serving as a Member (Telecom) in the Ministry of Information Technology & Telecom Division, Government of Pakistan. Mudassar Hussain is a world-class services executive who will accelerate his efforts in delivering high-value services for the telecom industry. He is an expert in Telecom Policy, Information Technology, strategy formulation and Telecommunications research. He has extensive management and strategy experience in Pakistan. Prior to joining MoITT, working as Telecom Policy & Regulatory Consultant with Ufone and being at the MoITT as Director he served on the Boards of the National Telecommunications Corporation, the Telecom Foundation and the National Radio Telecommunications Corporation. Telecom Sector has expressed satisfaction and welcomed the appointment of Mudassar Hussain as member Telecom. Mr. Mudassar Hussain brings his vast experience and is well known in the telecom sector and numerous government offices. Mr. Hesham Abdulla Qassim Al Qassim is a Member on the Company’s Board nominated by EIP. Mr. Hesham is the Chief Executive Officer for wasl Assest Management Group and is responsible for leading the organization’s transformation into a world-class asset management company. He is also the Deputy Chairman of Emirates NBD Bank PJSC, the Chairman of Emirates Islamic, one of the leading Islamic banks in the region and Emirates NBD Egypt; both are subsidiaries of Emirates NBP PJSC. 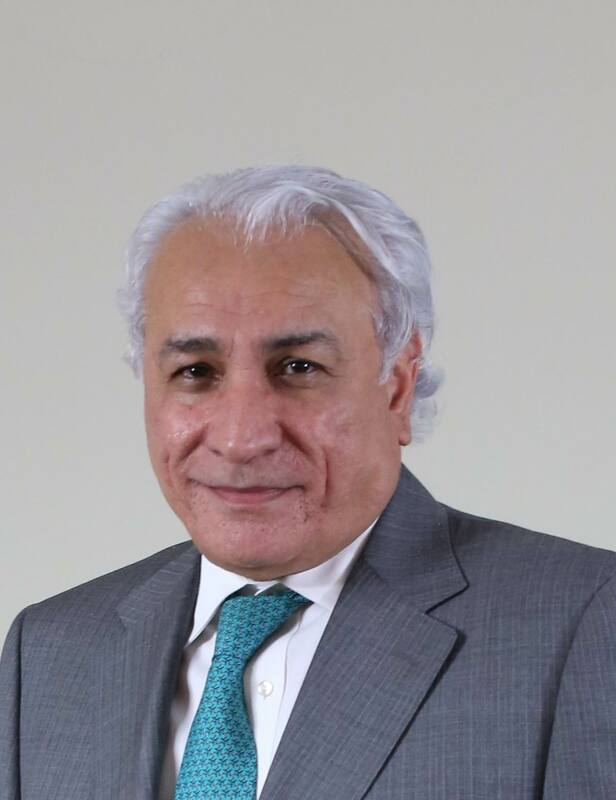 Mr. Hesham’s other Board memberships include Dubai International Financial Centre (DFIC) Authority, Emirates Telecommunications Corporation (Etisalat), DFIC Investment LLC., National General Insurance Co., Amlak Finance and Emirates Institute for Banking and Financial Studies (EIBFS), as well as the International Humanitarian City. His professional and vocational qualifications include a Bachelor’s Degree in Banking and Finance and a Master’s Degree in International Business Management and in Executive Leadership Development.